As a writer and a traveler, I scavenge the world for words that carry far more meaning than their direct translation. Laden with context, multifaceted, and tailored to culture, these words can only be understood when we experience them. During my visit to Java, I serendipitously found myself in front of a small, rickety workshop discretely lodged in a corner of one of Jogjakarta’s many narrow alleyways. A group of Indonesian men huddled on the front porch, laughing amongst themselves as they carved into leather sheets splayed across tables. Curious, I wandered into what I soon found out was a puppet shop. What I thought would be a short visit through a shop ended up being an enlightening experience that I will carry with me always. 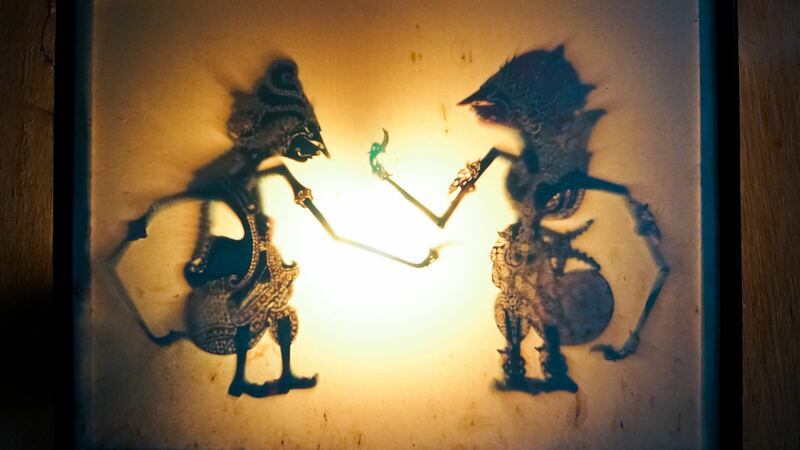 Within minutes of entering, a sage-like Javanese dalang (“puppet master”) drew me in for conversation and, in addition to teaching me about the art of wayang kulit (“shadow puppets” shown below), introduced me to rasa. Rasa is a word the Javanese live by: it captures the essence of living in the moment and of savoring life’s beauty. Literally “juice” in Sanskrit, rasa translates to essence, flavor, or feeling. It’s a container for raw emotion, and it can be happy, sad, good, or bad. If you’ve ever felt an indescribable internal commotion while listening to an exquisite piece of music, watching a watercolor sunset set over the ocean, or holding a loved one without knowing when you’ll see them next, you’ve experienced rasa. LISTEN: Learn how to perfectly pronounce rasa. The puppet maker pushed his glasses up his nose and smiled as he handed me one of the puppets resting on his worktable. It was flat, soft, and unexpectedly much larger than I would have anticipated a puppet to be. Shadow puppet shows, he explained, are a tradition that spans as far back as 1500 BCE, although the oldest known record of shadow theater dates back to the 9th century. The origins of this art date back before religion, to the oldest belief system in the world: Animism, which believes that all things (plants, animals, rocks, rivers, artifacts, etc) are animate, alive, and can even possess certain spiritual qualities. In other words, anything that exists in the material world has a soul–including these puppets. The puppet maker then proceeded to tell me that when the mind is too strong–when you think too much–it’s not easy to open your heart because logic overrides your intuition. As someone who thinks way too much, I asked him how I could go about creating that balance. I left Jogjakarta the next day, still looking for answers, and somehow found the next piece of the puzzle in a tattoo parlor. As I was passively listening to a woman speak Indonesian, I heard the word rasa pop up. My ears perked up. Instantly, I pulled her aside, and all but begged for her to tell me more. INTERVIEW: Hear an Indonesian woman provide context to the translation of rasa. In Indonesia, she said, rasa is something one can taste, feel, draw, or write… though it’s nearly impossible to fully capture. She described rasa as a beautiful word upon which we can project our expression –a blank canvas to paint how we feel. Put simply, rasa is the essence of life. Just as the puppet maker uses his rasa to breathe life into the puppets he makes, we too shape our world through our rasa. The puppet maker said the way to opening a heart is by turning off the mind, so that you can feel the universe. Rasa is the feeling that allows us to do that. It’s inside and around us, every single day, if we choose to live it. Stop thinking, and just let those rays of emotion rip through your heart. 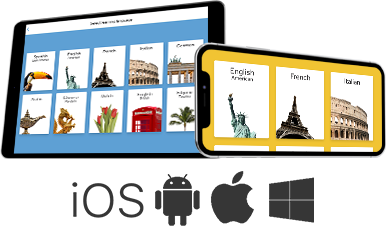 Learn to speak one of 30 languages like a native with Rosetta Stone.